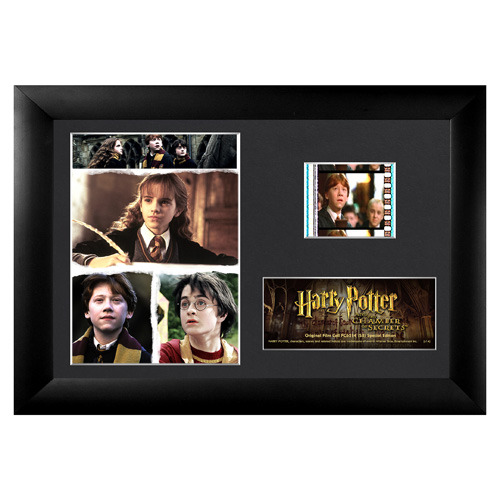 Featuring images of Harry, Ron, and Hermione in their second year at Hogwarts and a film cell from the second film, this Harry Potter and the Chamber of Secrets Series 8 Mini Cell measures approximately 7-inches wide x 5-inches tall. This film cell includes an easel back for easy display and a Trend Setters embossed/foiled certificate of authenticity. Ages 13 and up.